Despite the fact that Github is used mostly by computer geeks, we get many questions about how to completely remove the software. 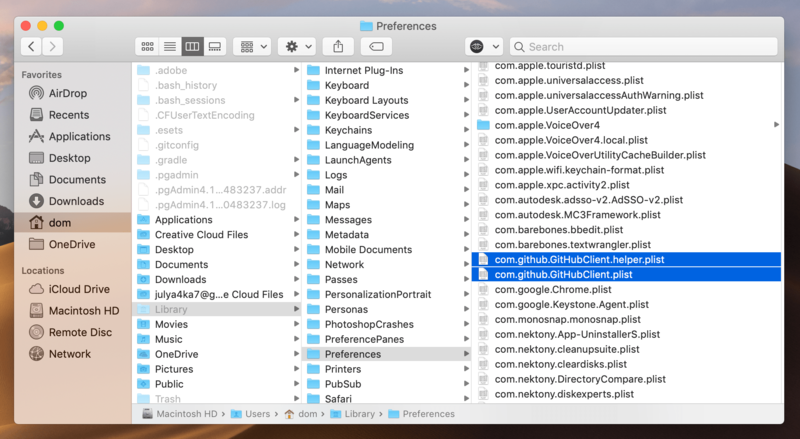 So today, we are going to share a full removal guide and explain how to uninstall GitHub for Mac. 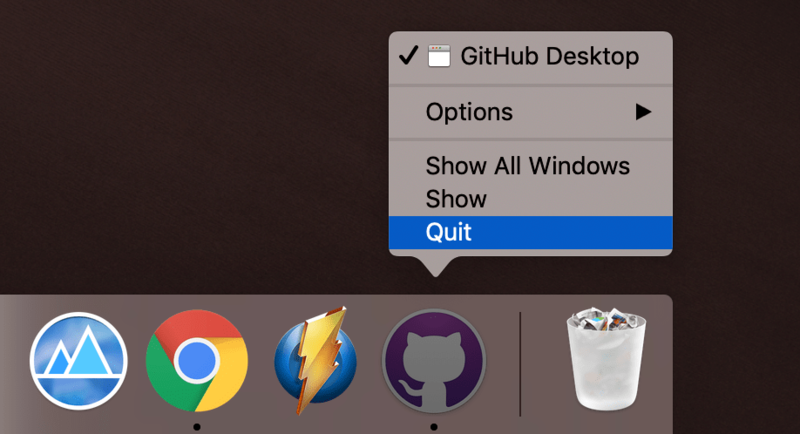 Uninstall GitHub Desktop using an app uninstallation tool. The manual method of app removal consists of two parts. First, you need to delete the app’s executable file. Then you have to find and remove its remains. Remains are service files of deleted apps that you do not need anymore. In short, remains are leftovers of apps that just take up useless space on your disk and can be safely removed. We’ll explain below how to delete them. Now, let’s start with the first step of manual GitHub uninstallation. 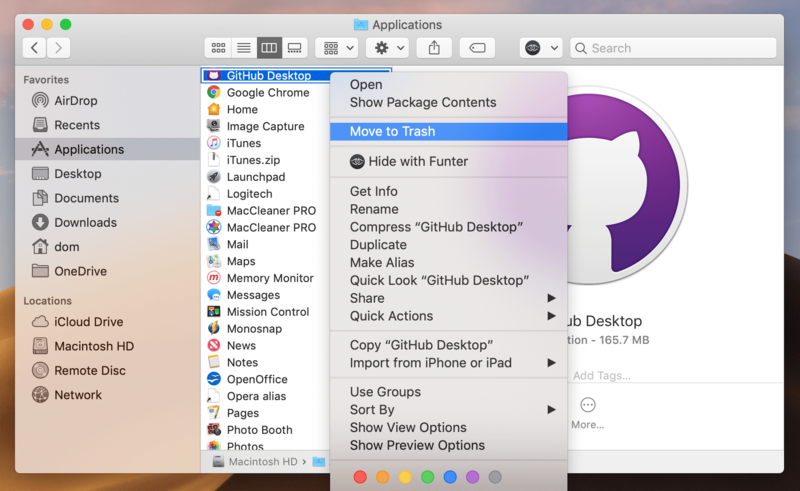 Go to the Applications folder, then find and remove GitHub to Trash. Then go to the system Library folder, where all service files are usually stored. You can learn three ways to get to the Library or follow these steps: in the menu bar, click Go → Go to Folder… → type ~/Library in the search field → click the GO button. 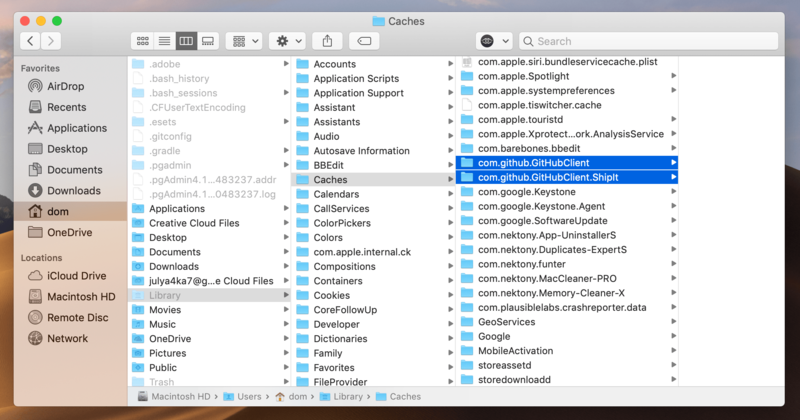 As you can see, it’s important to check each folder in the Library to find GitHub’s service files. Alternately, you have another option to automatically find and remove these files. Just use the app removal tool, App Cleaner & Uninstaller. Read on to learn more about it. 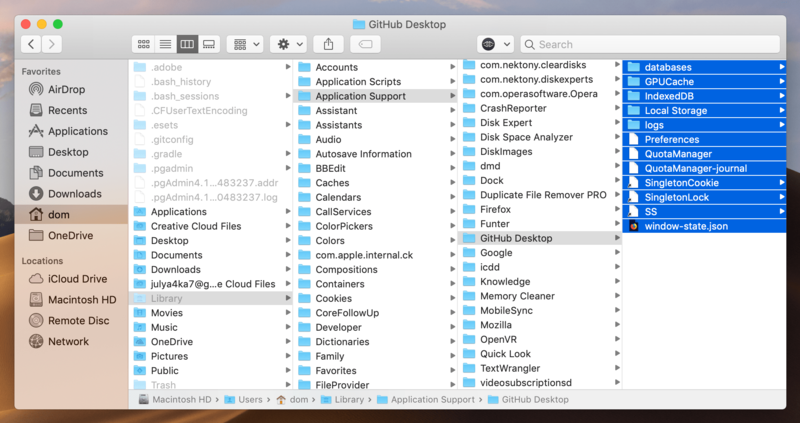 While with the manual method of app removal you need to search for support files by yourself, the application uninstaller can do it automatically and display the results in less than a minute. 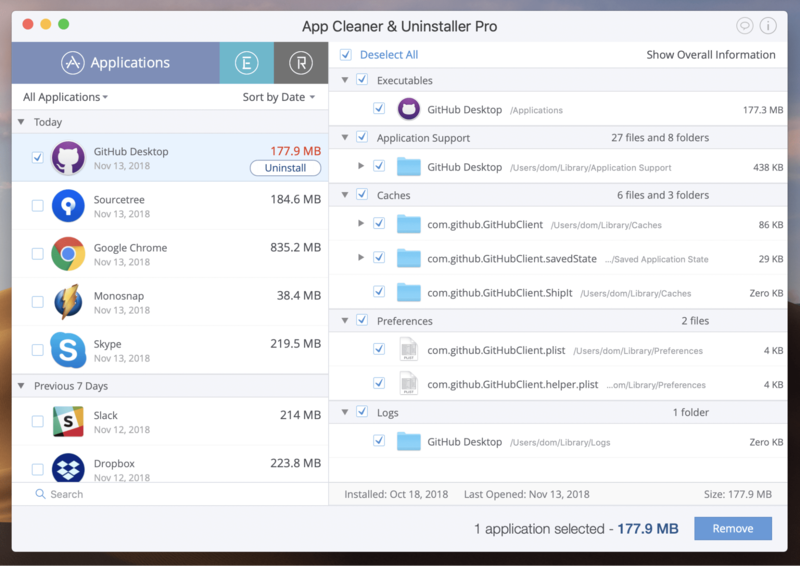 App Cleaner & Uninstaller is a special tool used to completely uninstall programs on a Mac in just a few clicks. App Cleaner & Uninstaller provides a free trial for seven days. 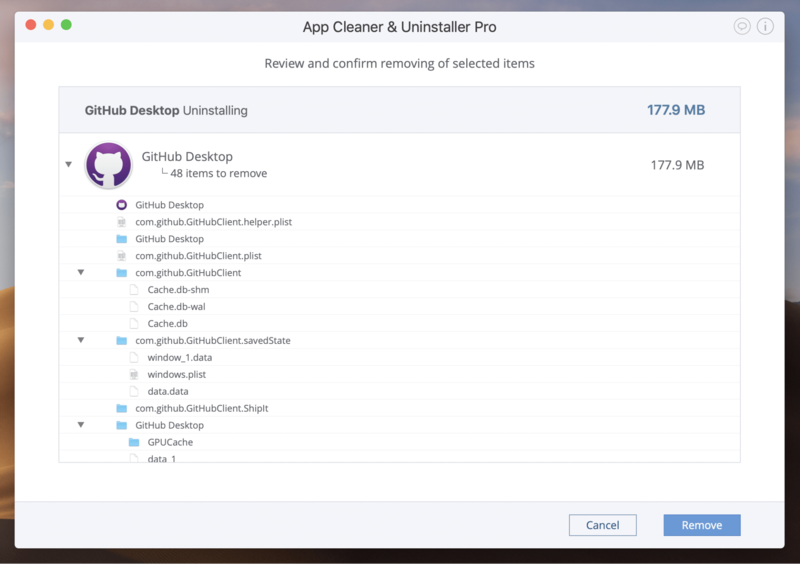 Watch the video to see how it is easy to uninstall GitHub with App Cleaner & Uninstaller or follow step-by-step guide. Launch App Cleaner. It will scan the applications installed on your Mac. In a few moments, it will display the results. From the list of apps, select GitHub. In the right section, you can view all the GitHub support files. Click the Uninstall button. Once again, take a look at the list of selected files. If everything is ok, confirm the removal. No matter which method you used to uninstall GitHub, the manual way or using a fast uninstaller, there are important steps to keep in mind before you finish. After uninstalling, one thing we always recommend is to empty Trash and reboot your Mac. This helps to prevent apps from creating kernel extensions and to keep from causing system errors in the future.